Here again with a swatch and review for you! 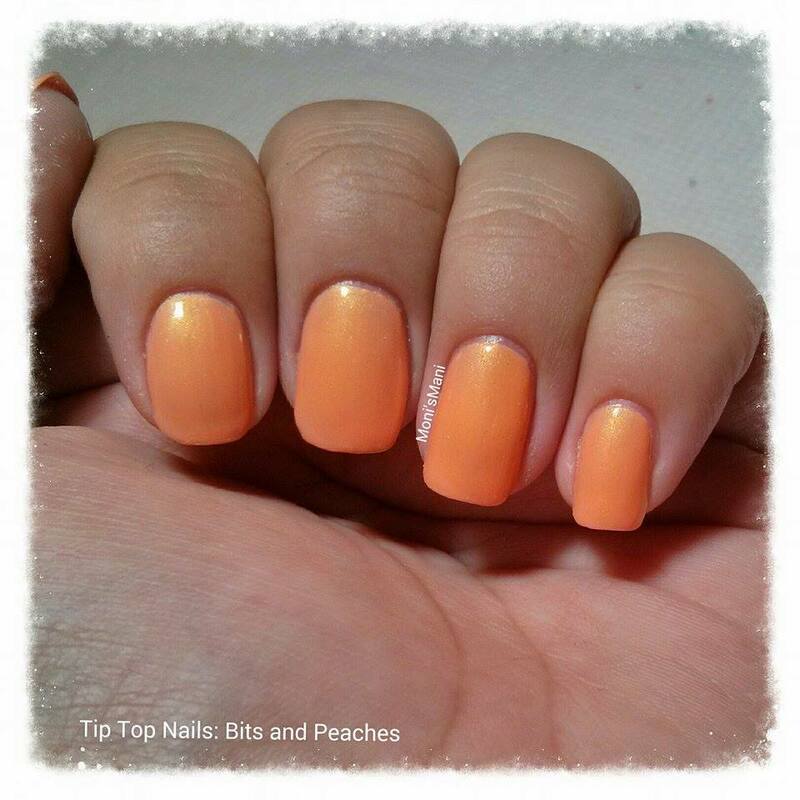 Not too long ago I got a box full of goodies from TIP TOP Nails South Africa. I have heard about this brand many times, as a matter of fact this was one of the first pages who liked my page and supported me (as it does with many others). But, never did I think their polishes would be so good!! I’ve tried 5 so far and they are all amazing! Super good formula and gorgeous colors. 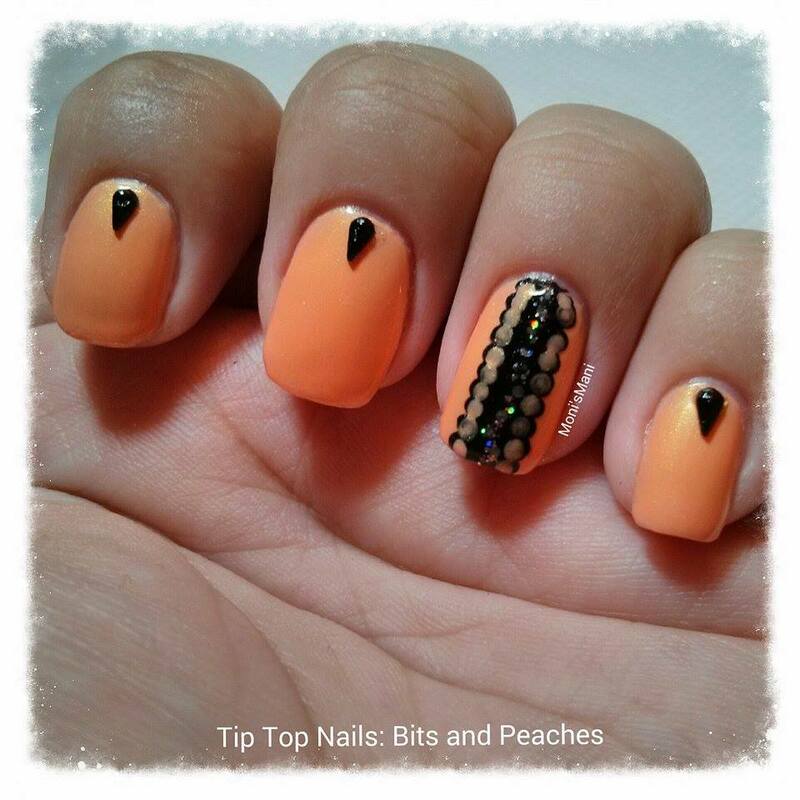 Today I’m bringing you “Bits and Peaches”. I have to admit this color was my least favorite of all in the bottle. 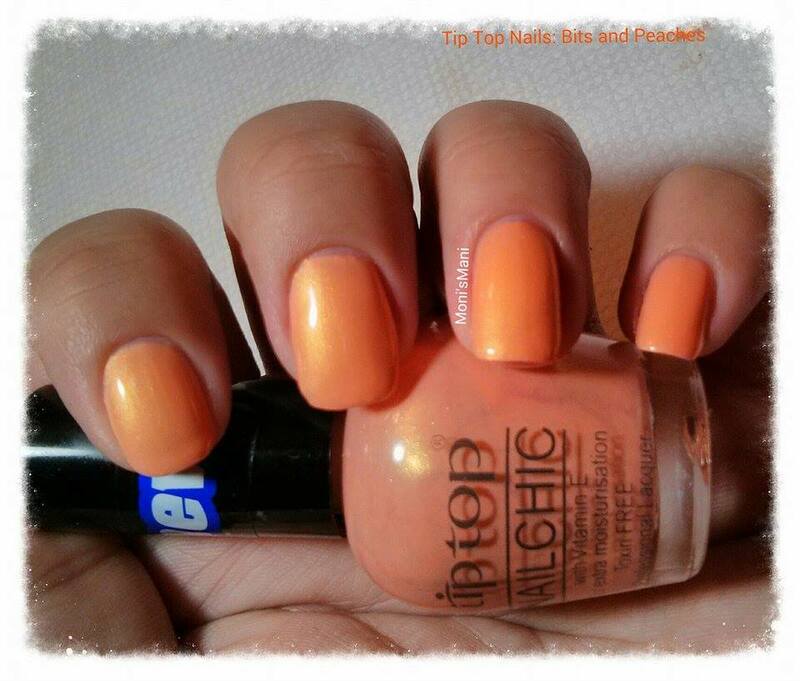 But once you get it on your nails you completely fall in love with the application and the color. What you see here is two coats + tc. Isn’t it pretty? I fell in love with it! and of course it needed to be nail arted so I added a couple of rhinestones from the Born Pretty Store to spice it up a little and also did a little something on my ring finger. 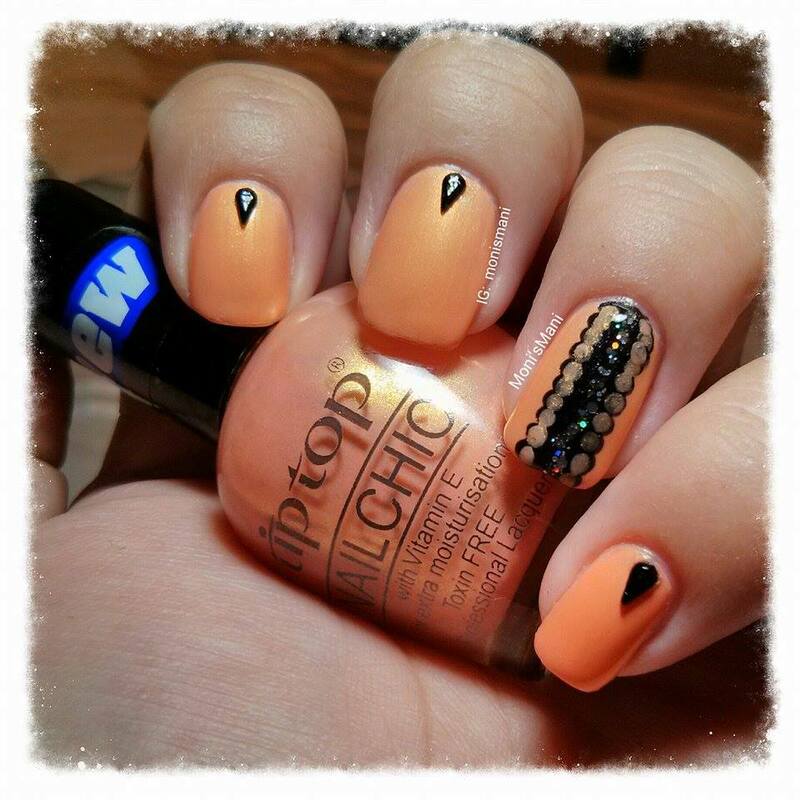 These rhinestone set is great bc it allows you to spice up any mani, the teardrops were lovely! I fell in love with them! I hope you like it!!! Do Not forget to use our discount code: CAPX31 for a 10% off your order! The Tip Top brand was established in 1981. The philosophy behind Tip Top was to develop a brand of nail colour & treatments that comprised of the following attributes & characteristics: Durability, Innovation, Toxin & Cruelty Free. As a result, Tip Top has become recognized as being relied upon by the consumer for achieving outstanding results through the purchase of its products through the drugstore, departmental & professional environments.